A study published in a psychology journal on Thursday detailing the effect of parents letting their children taste alcohol is presenting a dilemma to progenitors. The research showed that it may be fine for parents to let their children have a few sips of liquor if they want to ensure their offspring when they grow into teenagers, do not drink as heavily as those who are introduced to alcohol by their peers. Those who are introduced to alcohol from friends, it said, are thrice more likely to engage in binge drinking. The study was done between 2010 and 2014 by 11 experts in Australia. It is titled “Parental Supply of Alcohol and Alcohol Consumption in Adolescence: Prospective Cohort Study” and it featured in the Psychological Medicine journal, published by the Cambridge University Press. The team surveyed 1,927 children in Year Seven from schools in Australia’s Sydney, Perth and Hobart cities. During the four-year period, they kept track of the children’s alcohol consumption. They also gauged binge drinking, defined as having more than four drinks in a single session. One parent for each child was also surveyed annually. “Parental supply of alcohol to adolescents was associated with increased risk of drinking, but not bingeing. These parentally-supplied children also consumed fewer drinks on a typical drinking occasion. Adolescents supplied alcohol from non-parental sources had greater odds of drinking and bingeing,” the researchers say in their conclusion. Some African parents live by the philosophy of allowing their children to have a taste of alcohol, especially the traditional brew, to end children’s curiosity. Such approach is also taken by some parents in Europe. Britain’s Guardian newspaper quoted an Australian university professor saying the study proved the ineffectiveness of the European model of providing alcohol to children. With the study stating that such introduction doubles the chances of a child getting hooked to alcohol, it appears there is a thin line between satisfying curiosity and sparking alcoholism. Researchers in the study attempted to explain why children introduced to alcohol by their parents do not become heavy drinkers. “Parental supply may have a protective effect, possibly due to the supervised nature of the supply,” they said. Psychiatrist Njeri Muigai, who is a consultant at Nairobi-based Mediva Wellness Centre that rehabilitates alcoholics among other functions, said the study is not conclusive and that it appeared contradictory. “The findings actually contradict each other. If you look at it properly, the first statement says that those who were introduced to alcohol early are more likely to drink than their counterparts. Then again they say those who did not will binge-drink,” she said, noting that the bottom line of the study is that it is not good for parents to introduce their children to alcohol. Studies previously done in Kenya have shown that most alcoholics had parents who were into alcohol. An undated research by Moi University’s Mary Mahugu, published online, says fathers play a big role in their children’s attraction to alcohol. “Majority of the fathers of the alcoholics (66 per cent) use alcohol occasionally, moderately or frequently. 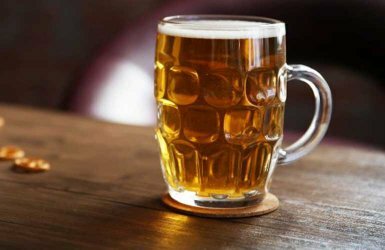 Only about 26 per cent of the mothers use alcohol,” states Ms Mahugu of the Moi University’s Department of Student Affairs. Another study released in 2010 by the National Authority for the Campaign against Alcohol and Drug Abuse (Nacada), which focused on regions encompassing the former Central Province, showed that the area, which has a high prevalence of alcoholism, had a very high population of underage Kenyans taking alcohol. “The survey revealed that while there is variability in which age and gender group is affected by alcohol, each group has an issue which ultimately needs to be addressed. To begin with, a number of respondents reported ‘high’ (combining very high and high) existence of alcohol consumption among underage – those aged under 18 years which is the minimum legal age for alcohol consumption – males (25.6 percent) and females (5.8 percent),” says the report.